Southern California is notorious for more than just its sunny climate. With a rich history of arts and theater, the city of Los Angeles is the cultural, commercial and financial center of California. It is also one of the most densely populated cities in the whole of the United States, second only to New York City. 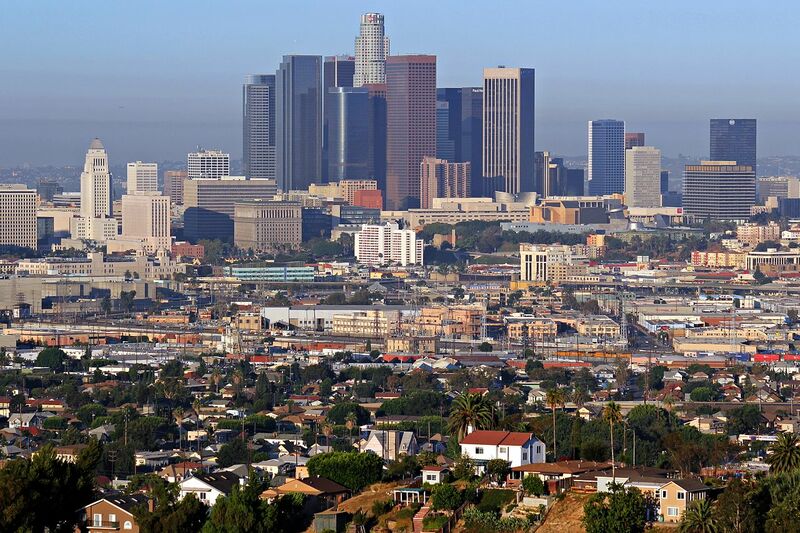 With ahistory dating back to 1542, L.A. has some fascinating Spanish, Mexican and American roots. The “City of Angels” (as it translates in Spanish) is known today for its Mediterranean climate, ethnic diversity and economic power. It is also home to Hollywood, arguably the entertainment capital of the world. If you’re visiting L.A., you’ll want to head downtown to see what the hub of the city has to offer. Here are five things you can do to make the most of your time in downtown Los Angeles. The Museum of Contemporary Art, otherwise known as the MOCA, allows visitors to learn about the art on display through educational programs and exhibitions. So, if you want to expand your art knowledge, this is the place to visit. The MOCA is spread across four locations throughout L.A., with the most notable museum located on Grand Avenue. You can even buy pieces of art to take home with you from the museum shop, so you’ll always remember your trip. L.A. is the ultimate city for entertainment, so make sure you visit the Downtown Theatre District and visit some historical landmarks on Broadway. Don’t be fooled by thinking you’re not a fan of musicals — you still don’t want to miss out on the vibrant entertainment scene here. Why not catch a concert or watch some live music instead? You can buy tickets online from the Ticket Sales website. Located at 317 Broadway since 1917, L.A’s Grand Central Market is a hub of diversity and culture. With over 30 stalls teeming with an array of craft beers and multicultural delicacies, this is a great place to visit if you like to explore through your taste buds. The market also hosts games nights, movie showings and other events and promotions. Found at 1111 Figueroa Street, the Staples Center is famous for showing Los Angeles sporting events. Home to the L.A. Lakers, the L.A. Clippers and the L.A. Kings, it’s the ultimate place for sports fans to visit. There is something for everyone here, though, as the center is also home to L.A. Live, the location of the ESPN broadcast offices. This subsection of the Staples Center includes a movie theater, bars, restaurants, hotels, and even ballrooms. Griffith Observatory first opened in 1932. The observatory is a must-see for tourists, as it offers the best views of downtown L.A. and Hollywood. The building sits on the south-facing slope of Mount Hollywood in Griffith Park: a large municipal park at the eastern end of Santa Monica mountains that is also worth a visit. The post 5 Things to Do In Downtown Los Angeles appeared first on Geeky Traveller.